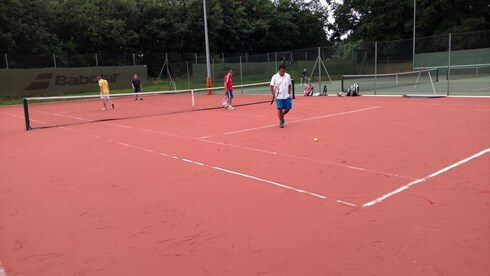 Club sessions are played as doubles, with players being paired and rotated through the session by an organiser from the club. Club sessions are fun, good exercise and can be very or gently competitive. The organiser attempts to make the pairings as fair as possible, while giving really good players the opportunity to play some very competitive doubles during the session. You don’t have to book for a club session, just turn up. Club sessions run all year round, with lighting and balls provided free of charge, as part of your membership fee, by the club.